Mix pre-lightener with oxidant as usual. 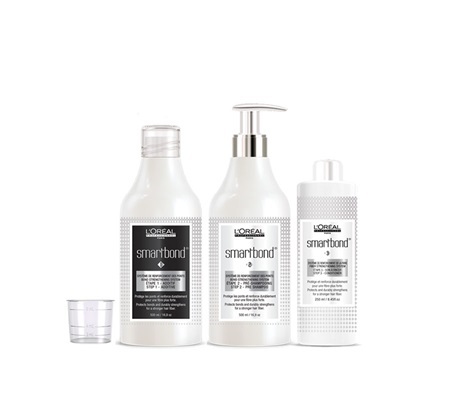 Add Smartbond Step 1 (8ml) for every 30gr of pre-lightener. Shampoo & condition with your preferred Professional product. To be put in colours, lighteners & bleaches. Bond protecting & strengthening action during technical services.